Jerry MonkmanPrior to AMC building trails in Katahdin Woods and Waters, most of the monument was reachable only by rugged travel. Nestled in the shadows east of Baxter State Park, Katahdin Woods and Waters National Monument has remained relatively wild since its designation by President Obama in 2016. Sparse infrastructure throughout the monument’s 87,500 acres, much of which once served the area’s logging industry, offers minimal support for outdoor recreation. In order to make the monument more accessible to outdoor lovers, the National Park Service has contracted AMC to build a series of hiking trails, each about 1 to 2 miles out from the main Loop Road, allowing visitors access to some of these otherwise remote locations. To date, development has been limited to a 16-mile dirt road looping through the park’s southern portion, with access points to lookouts and to the start of other trails. Without a welcome center or onsite staff, visitors may find the area daunting to explore. To get started, AMC’s trail crew will build three shorter trails over an initial 15-week period, starting in October 2018, with further work through fall 2019. In addition to the Deasey Pond trail, the project includes an Americans with Disabilities Act-compliant trail to Lynx Pond, with a viewing platform at its terminus. “We will be constructing trails for all abilities, with some being less than 0.25-mile long, while others will be upwards of 1.5 miles long,” Norkin says. 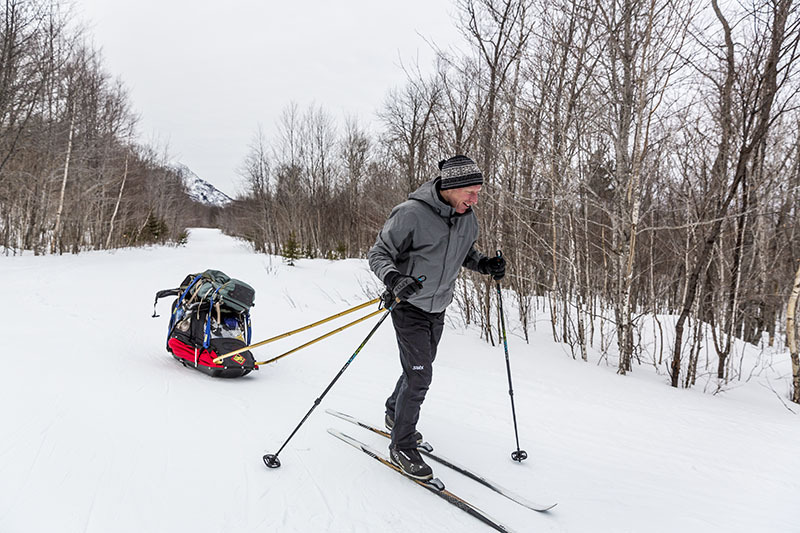 Browse photos of one traveler’s cross-country ski across the national monument. Find four more newly conserved lands to explore. Get involved in trail building yourself, as an AMC volunteer.